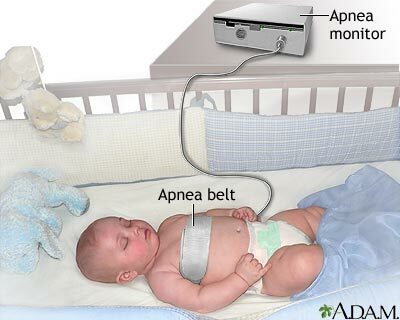 An apnea monitor checks the heart rate and respiration of the baby to make sure he or she is breathing properly. When either one falls below normal levels, the apnea monitor beeps to notify the care provider that something may be wrong. Newborns, especially preemies, are often put on an apnea monitor to observe their breathing patterns.